Meet the Caddy kids: Thomasina, Ralph, Albertina, and Phineas, otherwise known as Kick, Scruff, Bert, and Pin. When their oft-adventuring father goes missing, the kids are yanked from their carefree independence in the Australian desert to live on the other side of the world, in London. Life so far from the place they know as home is as different as night is from day, and not at all what they expected. This is London in the year after World War II has ended, at Christmas time, and living with Uncle Basti is an eye-opening experience for the Caddys, especially when his home is The Kensington Reptilarium. There’s trouble afoot, as Uncle Basti is not at all enamoured of his new house guests, and the Reptilarium is home to a menagerie of snakes, lizards and other creatures with visitors invited to “enter if you dare”. I found reading the first person narrative a bit frustrating to start with, but the plot and characters ultimately drew me in. One of those characters is the house which is like a maze with forbidden rooms and surprises lurking around the corners, a house whose owner is in need of some Christmas spirit. 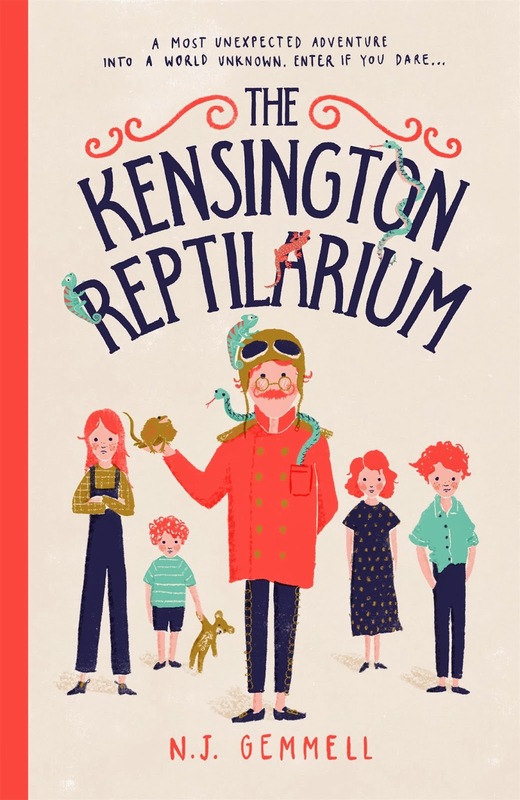 The Kensington Reptilarium is filled with action and humour, and can be enjoyed by a broad age range of readers. It’s a story with a bit of a mystery that’s begging for a heartwarming ending.